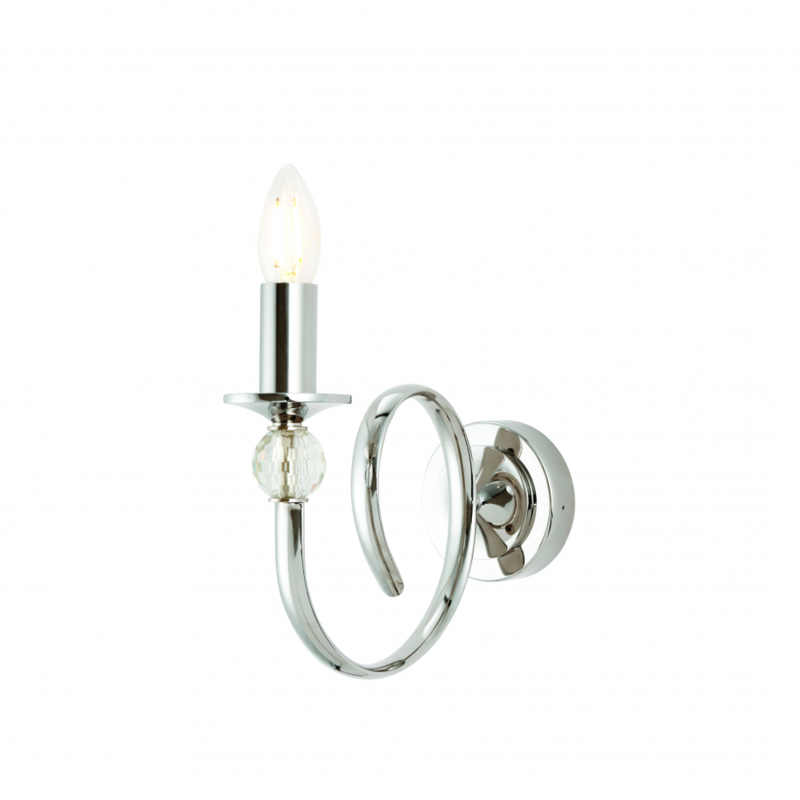 A stunning wall light incorporating beautifully curved arms adorned with crystal glass detailing and finished in a polished nickel plate. Compatible with LED lamps and dimmable. 24.7cm projection x 21.5cm height x 10cm width.